This past Saturday we had friends over for dinner. 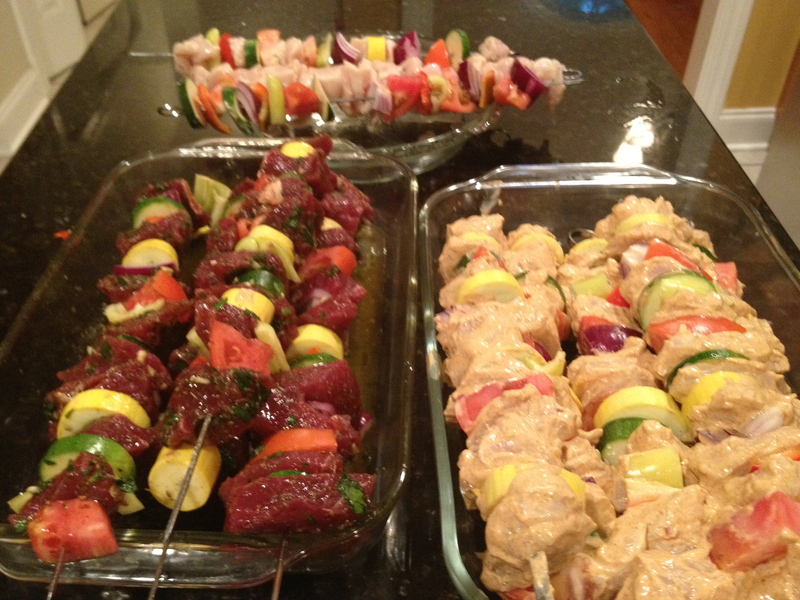 I decided to do something we hadn’t done in a while…kabobs! There was this great kabob restaurant we used to go to when we lived in College Station, TX. It inspired me to make them with Middle Eastern seasoning. I googled Middle Eastern kabobs and I used these 2 recipes…click here for chicken and here for beef. Both recipes said to marinate the chicken and beef on the skewers with veggies. I opted to marinated the beef and chicken in separate dishes. I seasoned the veggies with light salt and pepper and skewered them before grilling. I also added different veggies than the recipe called for. I used zucchini, squash, sweet red onion, sweet pepper, red pepper and tomatoes. All purchased at our local farmers market. I also used chicken breast instead of boneless thighs and grass-fed sirloin roast for the beef. 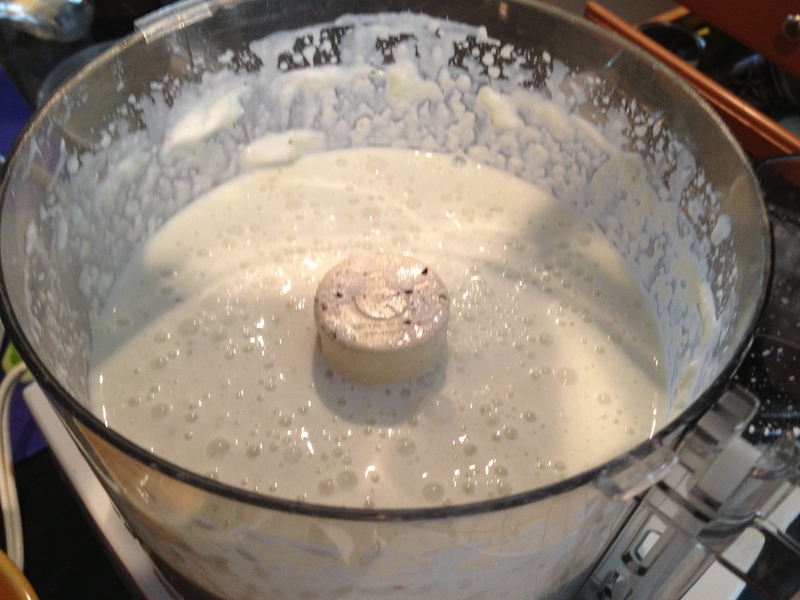 The yogurt sauce in the beef kabob recipe is to die for! We used it to dip the meat in but also as a dip with pita chips. I added a little more garlic than the recipe called for. We paired the meal with a pearled cous cous, but you can also do a yellow rice as well. This entry was posted in food, seasons/holidays and tagged Beef, Chicken, Cook, grilling, kabobs, Meat, recipes by ordinarylifeisextraordinary. Bookmark the permalink.